FreshPromo is an SEO company specializing in targeted search engine visibility through organic search engine placement. 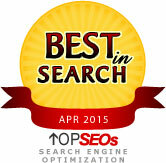 Our services focus on long term exposure for our clients through ethical and proven SEO methods. We are committed to our clients' needs and staying abreast of industry changes. The best way we can offer you, the customer, top quality services is to stay educated and be an active participant in the search engine optimization world. The Founder of FreshPromo, John Metzler, has been an asset to the SEO industry for over 10 years. Through his constant attention to cutting-edge knowledge and adhering to a true 'customers come first' attitude, countless businesses and individuals from around the world have seen success. At age 20 he co-founded a web development firm in Vancouver - four years later the corporation had clients on every continent. John has an extensive music performance background in North America and Europe, as well as Royal Conservatory of Music training. He works with local non-profit organizations and has pursued his passion for the camera at various photography schools in Ontario. His creativity and business savvy are a combination that his clients see and benefit from on a daily basis. FreshPromo is also committed to providing excellent resources for small business owners or any Do-It-Yourselfer. Our SEO Knowledge Center is a growing collaboration of FreshPromo's SEO team and other industry experts. Included are articles on the topic of search engine optimization written by John Metzler. Before hiring a search engine optimization company, site owners should know a few things about their web site and competition. Although FreshPromo offers SEO services, we also offer this detailed analysis, free of charge and with no obligations, to anyone looking to hire a search engine marketing firm. Our reviews are done by SEO experts and include a ranking report on Google, MSN and Yahoo, as well as suggestions and observations unique to your web site. Use the form above or contact us today to discuss search engine optimization options for your web site.